I thought that would be a cute concept for my sewing room. Suddenly my craft light-bulb went off in my head and I started thinking about how I could make it. The next thing I knew, I was at Hobby Lobby buying everything I needed to make my own personalized, 3D version of this idea. I started with a piece of 4" x 12" mounted canvas. 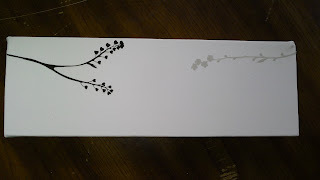 I had seen on Pinterest recently that if you stick decals on canvas and paint over them, you will be left with a white outline of the design. I thought it would be cute to have my clothesline hanging from some tree branches, so I got some tree branch decals and painted over them. It was a great idea in theory, but it didn't work. Whether it was because my decals were too detailed, or because I wasn't careful enough with the painting, I'm not sure. 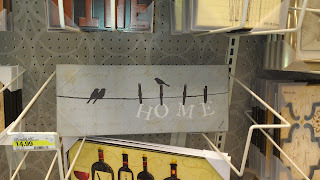 I really think the decals just didn't adhere well to the canvas, which is why the paint seeped under the edges. 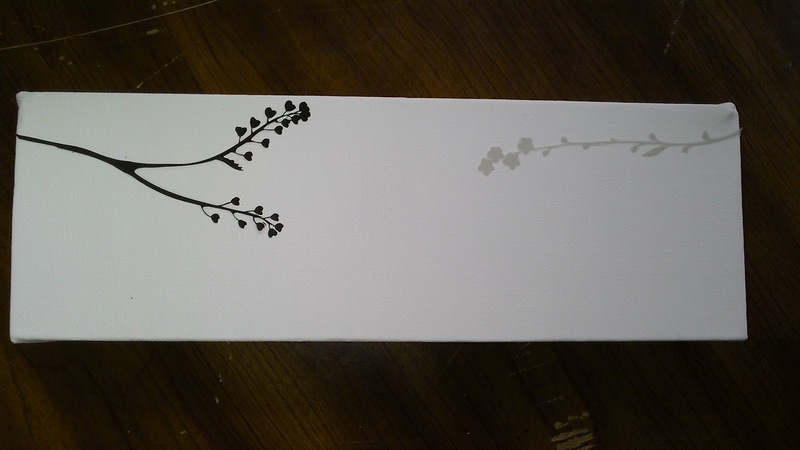 However, it did leave me enough of an outline to follow and paint the branches by hand. It ended up working well for that, but if you're not confident with a small paintbrush, I wouldn't bother trying the decal method. Next I got out my little wooden letters and painted them. 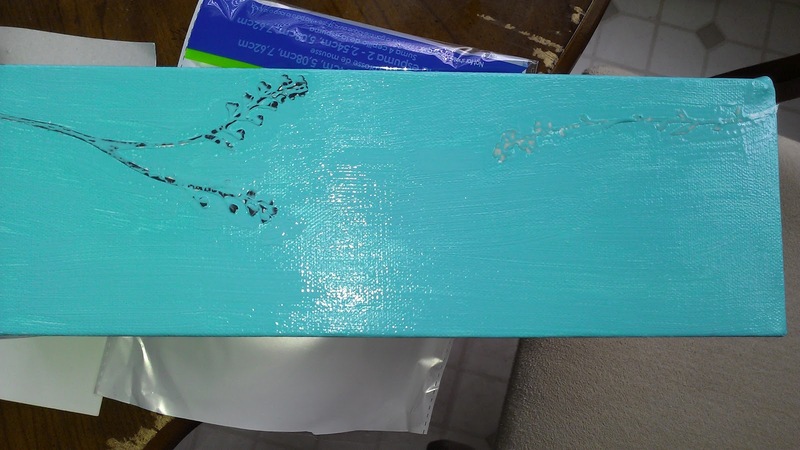 By this time my canvas was dry. I put a silver thumbtack on each branch, over by the very edge where I could stick it into the wooden frame. I only pushed them about halfway down, and then wrapped some jewelry wire around each one. 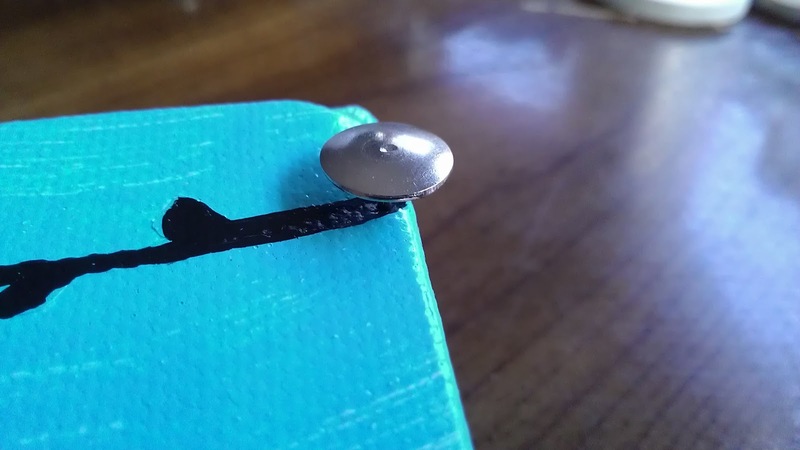 Then I pushed the tack the remainder of the way into the frame. 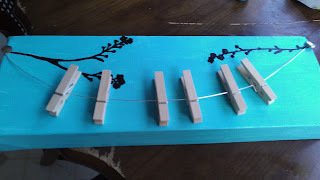 After that, I hung the mini clothespins on the wire. 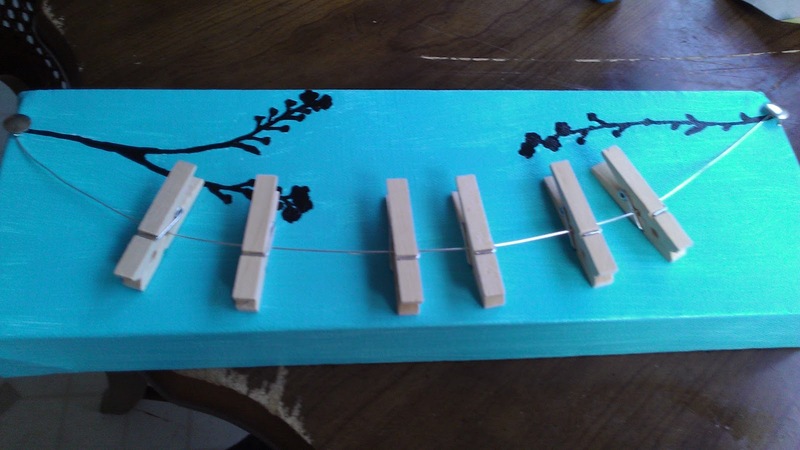 I opted not to paint the clothespins, because I liked the realistic look of their natural color, but I think it would be pretty if they were painted, too. 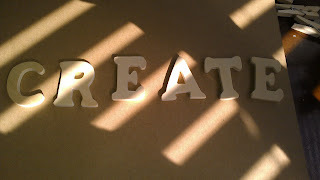 I didn't glue them at this point, because I wanted to be able to arrange them after the letters were glued on. I thought about gluing the letters to the pins first, but realized that would make it more difficult to then clip the pins onto the wire. 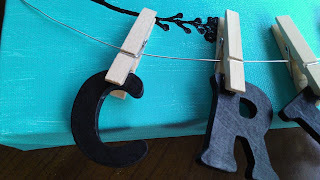 I clipped the letters each into their own clothespins, securing with hot glue. I purposefully made them hang in different directions instead of keeping them all perfectly straight. This was more in keeping with my original design inspiration, and seemed more fitting for items hanging from a clothesline. 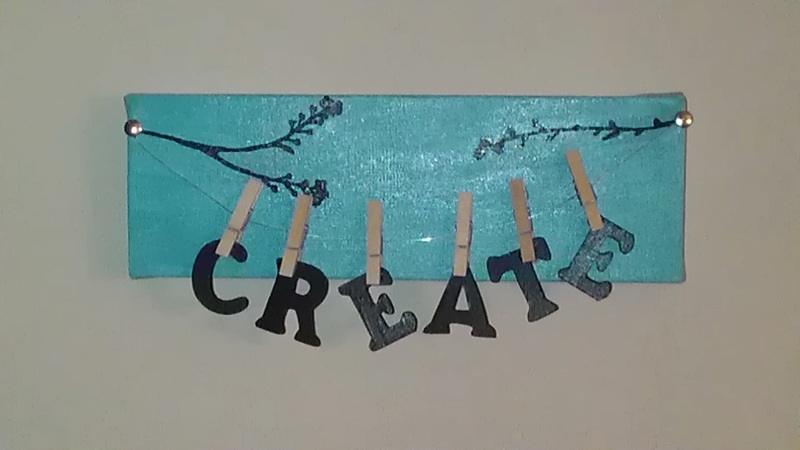 I tried hanging the finished project at this point, but my free-moving letters ended up all bunching together at the bottom of the wire. So I arranged the letters at the distance apart I wanted them to be and used a dab of hot glue to affix the clothespins to the canvas. And that was that! 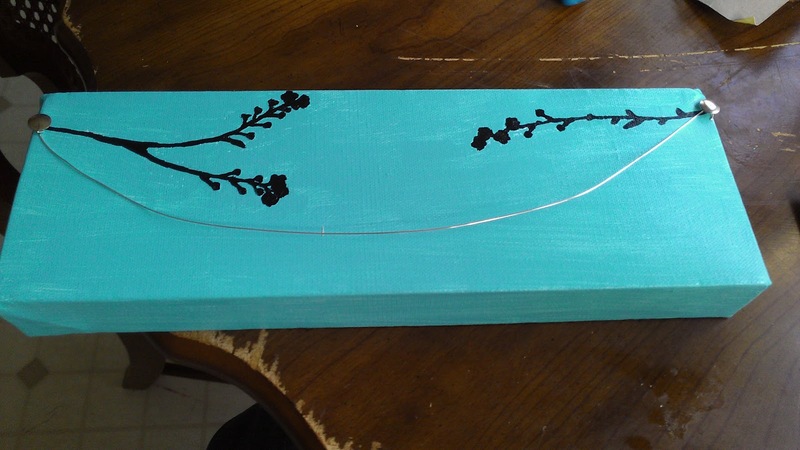 My cute and simple project was ready to hang in my sewing room! 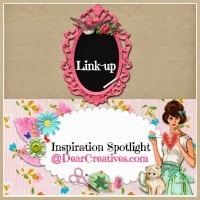 Linking up with Dear Creative's Inspiration Spotlight!